Blizzard have just done one of those things where a game developer announces the date of an announcement. Apparently the games giant will have something substantial to say on March 11, just before the Americas Winter Championship . While you’re waiting for the announcement, why not read our list of PC’s best free games. “Something inside the Tavern stirs… what could it be? Don’t worry – you won’t be alone! Our very own Lead Designer Ben Brode and Senior Producer Yong Woo will kick off the weekend of the Americas Winter Championship with an announcement about what’s coming next for Hearthstone,” says the Battle.net post. The announcement is coming on March 11 at 10am PST, on the official Hearthstone Twitch channel. Hearthstone’s Winter Championships takes place across three consecutive weekends in March, with the Americas, Europe, and Asia-Pacific Winter Championships being hosted at the Raleigh Studios in Hollywood, California. The eight qualifying players from each region’s Preliminary event will get flown out to see if they can be crowned their region’s World Champion. 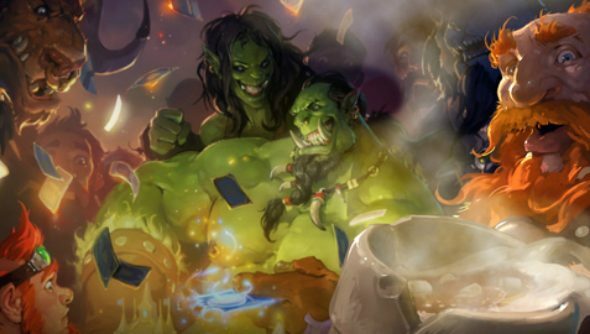 Winners will get a share of the $100,000 prize pool and a chance to earn a spot at this year’s Hearthstone World Championship. As for the announcement,it’s likely to be the reveal of the next set’s theme, a few preview cards, and probably a release date. Of course, this is just speculation, but has to be something substantial for all this fanfare.